Libertad Urban Farm is an urban garden located in the Bronx section of New York City and is the vision of founder, executive director, and Solo Mom Fields. Working at the intersection of food justice, education, and small business, she makes strides in educating her neighbors and community in the value of fresh, good food for low-income peoples. In an area of the city that is one of the poorest in the nation (the U.S. Census Bureau has reported that 38% of the people living there live below the poverty line), Fields’s work is vital to the community, the planet, and, of course, herself because the Bronx is her home. 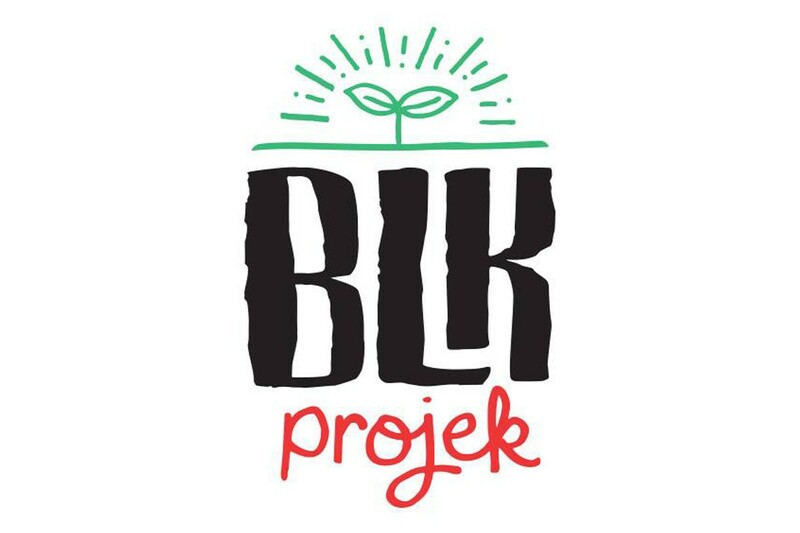 ESME is proud to feature the BLK Projek and share the great work it does. ESME’s Tanisha Christie had the pleasure of speaking with Fields about her life’s work and mothering. Q: What’s the most successful part of balancing work and family? A: The most successful part of balancing work and family has been helping my children have the right amount of independence and passion for life. Running a business keeps you busy, so I try not to leave my children to their devices too often, but when I have to, people tell me that they are well mannered and independent. They are! They are also not afraid to ask for help when they need it. They hold each other accountable for being responsible for and to one another. Q: How many children do you have? A: I have six, ages 14, 12, eight, seven, two and a half, and one. Q: Did you always want a big family? A: Actually, I didn’t want any children. I was pretty adamant in my early 20s that children were not for me. My oldest daughter was an unplanned pregnancy, and while I knew I had the right to exercise certain choices, I chose to think on it. I had no delusions about the relationship that I was in and knew that there were no guarantees around whichever choice I was going to make. I had very little hope that the relationship was going to work out, but something in my gut spiritually had me go forward and have a child. There are a lot of respectability politics around motherhood and black folks. Many of us depend on and hold on to this idea of a nuclear family when, in actuality, there are many ways to be and have a family, as shown in the communities we actually live in; but, still, a lot of people are holding tight to it. I have nothing against a nuclear family, but to stay rooted in this notion is a response to having our families decimated during slavery under the weight of hard racism for the maintenance of white supremacy that continues to this day. I was afraid to be a single mother and feeling a sense of shame, especially from my own community. Q: And you are persevering. It seems to me that making the choice to have children is an act of liberation. A: Reproductive rights from a feminist perspective has not been kind to black women. I hold a pretty scathing critique of mainstream white feminism, which centers its fight on abortion. It’s not to say that this isn’t important, but one of the reasons the white feminist fight on this issue is not much use is that many black women have had very little control over their reproductive rights or have had justice in this area in the first place. Motherhood for immigrant and black American women looks different than what it is for mainstream women. A lot of this pro-abortion talk doesn’t take into account how radical motherhood is for people who were enslaved as Africans; who were forced into motherhood; or if, in that rare instance, they had chosen to have children, had their children taken away or whipped and killed. If you look at how this functions in today’s society, look at how municipal interventions like the Administration for Children’s Services or Child Protective Services come into black and brown communities breaking up families. State intervention is exponentially more frequent in these communities than in their white counterparts. A black woman who has chosen to go into motherhood given the violence in this country—the state-sanctioned violence, the violence perpetrated by black men, the violence in our communities—that is the kind of radical motherhood that, as a community, we need to fight for. Motherhood in America is not revered in any way. We live in a country that doesn’t validate or value children or motherhood. State interventions constantly show that. Look at what they are doing with food stamps. The largest beneficiaries of food stamps are children, and now they are choosing to penalize mothers for needing them to feed their children. This country is regularly violent toward children. As a society, we are not making an effort in the communal legacy of all of us. And this lack of effort is supported by capitalism. For those that can afford to take their children to Gymboree and those kinds of things, they might be OK, at least for now; but the rest of us want to protect our children as well. But our society is currently running on this idea of Darwinism, toward some kind of dystopian future. We need to talk about how to bring community values back because we have less of a chance of making our society work based on how things are working right now. We have to tear it all down and ask questions: Why don’t we value black people, women, trans people, mothers, children, differently abled people, or our elders? We have to reevaluate how we value families. Q: This sounds like the foundation of what has brought you to doing the kind of work that you have been doing at BLK Projek. A: Yes, going back to the land as a way of valuing community is the crux of the organization. Food justice is the mechanism in which to talk about and explore the root of these issues. The underlying purpose is to empower and value black mothers and their children or black women who do not have children but mother communities. I began to look at some of these issues from a more academic standpoint, but I come from an organizing background and so actions are important. I began to look at what actually does work with people and how to actually do the work and be informed about the intersectionality of it all. Food was it. If you think about the ways society has changed and turned throughout history and the reasons why people turn on each other—it’s hunger. When you starve people, you can manipulate them any way you desire, manipulate your society and culture at a basic level. When people are nourished, they feel whole, and they have the ability to thrive. That’s the crux of civilization’s success. When you think of how society has evolved, it’s in regard to having access to food. Look what is going on in some communities, where you have people running around and engaging in violence and perversion. They are hungry. The need for food is at the root of our basic emotion. You have people just trying to live day by day. And it’s hard for people. As a freelancing entrepreneur, I can be waiting on a check for $5,000 for three months. And it’s difficult to be in those waiting periods with my children. I am nickeling-and-diming. That feeling of waiting is devastating—waiting for food or a MetroCard. That kind of waiting will have you reevaluating what you are doing in your life to get your needs met. That is what is happening in these communities. Once you can help people meet a basic need, then you can start informing people and giving them information about systemic issues, racism, and injustice. I pattern my work off of what the Black Panthers had done with the free breakfast program. Once you feed the people, then you can talk about how there are systems in place that affect how they have been treated, what access they have, how capitalism survives on the backs of poor people. Q: How are you making it work? A: I don’t know. I was trying to come up with some inspirational answer, but I don’t know—maybe faith, due diligence, and good karma. Good karma is key. I have been tempted to do bad things, like steal some socks for my children because maybe no one would notice; but that’s living on low vibrational energy that would follow me. Then something great won’t be able to come. I am working to vibrate on a higher level. One time I was very low on money, and I borrowed $150 from a girlfriend. I made the rare stop at a Dunkin’ Donuts to get a cup of coffee, and this old lady was holding up the line. You know how we New Yorkers get when we’re in a hurry—and the worker wasn’t treating her nicely, either—but I saw her counting out her money very carefully, to see if she can afford the small coffee and a donut. Now, I only had $155 in my bank account, but I chose to pay for them. The look on her face! She was so happy, and I was happy because I helped someone. I have to feel like I can help someone else. Now was that the smartest thing do, financially? Probably not, but the next week I received a speaking gig for $1,200. That’s good karma coming back to me. Now, that’s not the kind of entrepreneurial advice you’re going to find in Forbes magazine, but this is the kind of thing that keeps me on my path. I believe in the work I am doing. It’s the kind of example I want to set, especially for my older daughters so that they can learn how to create a legacy for themselves. Q: How are you teaching them? A: In a world where black people are being killed with impunity, I’m trying to teach them to create their own legacy by their design because the days of going to college, getting an internship, then getting a job that pays $70K a year are over. That isn’t happening for white kids anymore, either. We can see the cracks in the bubble of capitalism. We have to create something new for our children, teach them about creating their own economies. We’re at a time where we need to understand a new future in order to create what we need for ourselves. This is a necessity to thrive in a meaningful way. Q: What do you want the world to know about being a Solo Mom? A: People often talk poorly about black mothers. We get marginalized and have to deal with the most upsetting, hateful, discriminatory messages. I don’t have time for that. In my work, I try to be here for all mothers—black mothers, immigrant mothers, mothers who don’t speak well, or who went to college. Empowering mothers is an environmental necessity. I don’t do this to just “feel good” or be trendy. Working with the environment is a basic, human survival need. We call the earth Mother Earth, and we don’t take care of her; but she will take care of us if we continue to act the way we do. We’re just another set of organisms, and she can make the choice to rid us from her. If we want to thrive and show her that we care, then she will take care of us. If we want to continue to live on this earth, thrive as a species and civilization, we need to make sure we take care of all mothers.